The Pullo Center at Penn State York welcomes Chris Lane presented by NASH 106.7 to its stage on Friday, May 27, 2016 at 7:30 p.m. Ticket prices are $40 VIP and $19, and will go on sale March 4 at 10:00 a.m. Members can order now. Tickets can be purchased at The Pullo Center Box Office, charge by phone at 717-505-8900 or online at ThePulloCenter.com. Since releasing the addictive single “Fix,” Chris Lane has become one of country music’s fastest rising newcomers. The record-breaking, Top 25-and-climbing hit “Fix” accumulated the most first week single adds from a debut male artist in Country Aircheck history and has notched well over 3,484,292 streams on Spotify. Racking up shout-outs from celebrities such as Brett Eldredge, Florida Georgia Line, Lucy Hale, Dustin Lynch, Cole Swindell, and more, he landed at No. 1 on Billboard’s Twitter Real-Time Emerging Artist chart the day of release, making the irresistible song one of the most shared tracks on Twitter in the U.S. from an up-and-coming artist. “Fix” sets the tone for his newly released EP (Big Loud Records) of the same name, produced by the award-winning Joey Moi. Media have applauded his bold, fresh sound and standout falsetto; with early raves including ROLLING STONE’s “10 New Country Artists You Need To Know,” YOUNG HOLLYWOOD's “Artist To Watch” list, HELLO! Magazine's “People You Will Be Talking About” and GLAMOUR’s “Music We Love.” Lane was also chosen for the select CMT 2016 LISTEN UP campaign. The talented singer/songwriter started his career selling out club shows in his hometown of Kernersville, NC. Previously touring with heavy-hitters Florida Georgia Line, Nelly and Lee Brice, he is currently on Dustin Lynch’s largely pre-sold out HELL OF A NIGHT Tour. 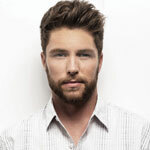 For tour dates and more information on Chris Lane, visit www.iamchrislane.com.